Alabama, in the South East USA, is full of water. More than 123 thousand kilometers of rivers flow here. They flow from the forts of the Appalachians into the Gulf of Mexico, experiencing all the vagaries of the local climate, one of the most unstable on our planet. 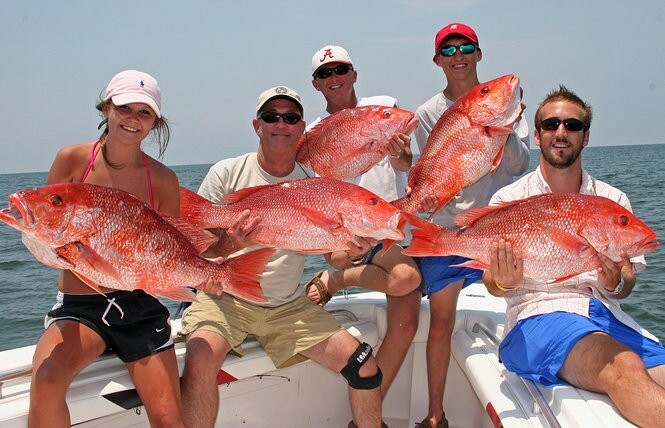 Alabama has abundant waterways for freshwater fishing and there are saltwater fishing opportunities on the coast. No matter what kind of fishing you enjoy, Alabama has it. But as everywhere in the USA you need to have a valid fishing permit to be able to go fishing. This state will offer you a sport fishing license or a commercial fishing license. There is a number of options for your fishing package permission and the final price will depend mainly upon your choice. Fishing in salt waters is also possible only with official fishing permission. You may choose an annual fishing permit or a short period one just for a trip. 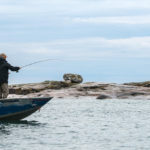 The selection of fishing permits is very wide and all details you can check directly on the official site of Alabama Department of Conservation and Natural Resources. Note that all annual licenses are in force only till the end of August of the current year. Buying fishing license in Walmart. You may easily buy fishing permission in the nearest Walmart store. You will just need to fill in an application, pay for the chosen variant of fishing permission and provide your driving license to prove your residency status. The prices for the license in Walmart will be roughly the same as listed in the local fishing guide. Fishing licenses can be also obtained online in Alabama. You will need to create a personal account, provide your identifying documents and pay the cost of the license. Then the printed copy is ready to be used as valid permission. A license can also be bought through any WFF District Office, County Probate Office/License Commissioner, regional agents (including most sporting good shops in Alabama).